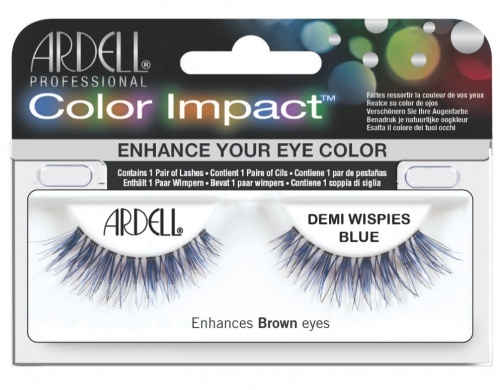 Ardell Professional Natural Demi Wispies Eyelashes (also known as Ardell InvisiBand Demi Wispies Lashes) has criss-cross design to create appearance of thicker, more voluminous natural eyelashes. They are natural looking collection of lashes that transform your eyes to stimulate your inner creativity for a lush and beautiful look. Includes a reusable box for storage when not being worn. 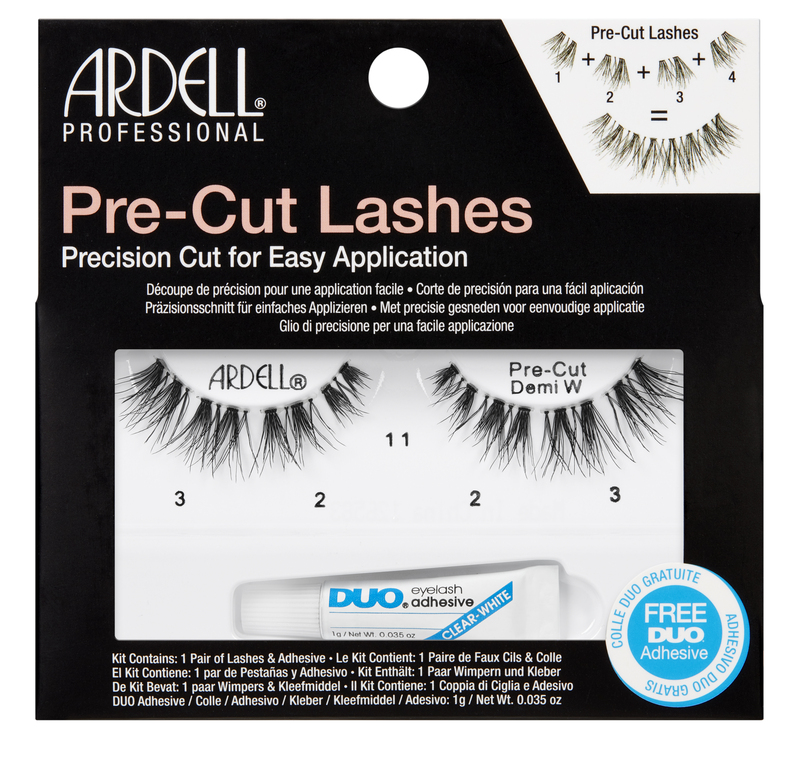 Ardell Professional Natural Eyelashes (also known as Ardell InvisiBand Lashes) Demi Wispies are made from 100% sterilized human hair and have subtle look that resembles your natural lashes. This style is comparable to Fashion Lashes #120 Demi eyelashes and Bullseye ‘Just a Girl…’ JOAN Lashes. 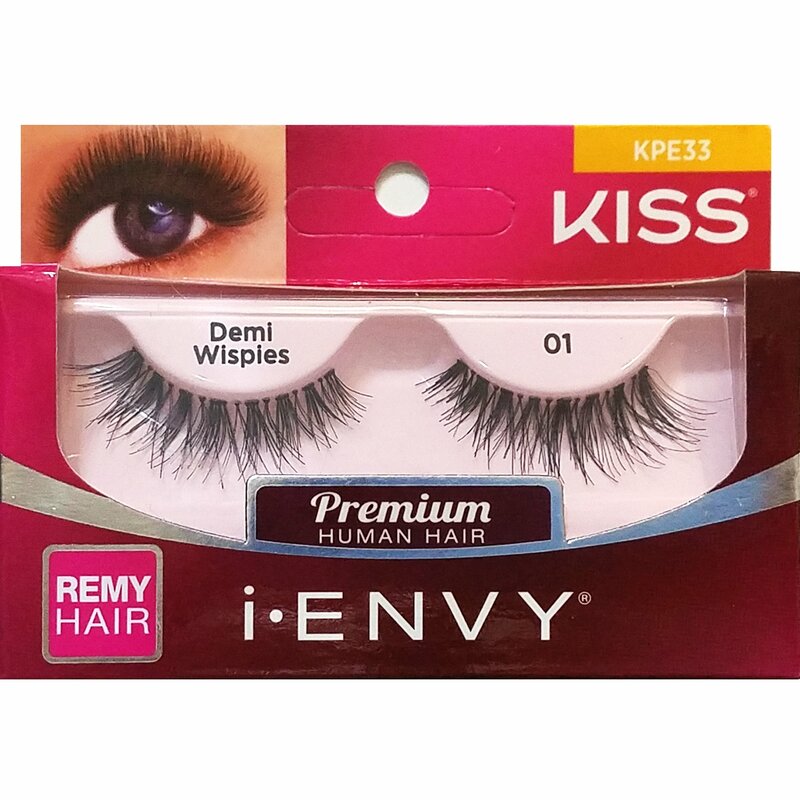 Get the Demi Wispies in value packs under Ardell 5 Pack Lashes - Demi Wispies (68980) and Ardell Fashion Lashes #120 Demi (New Packaging). 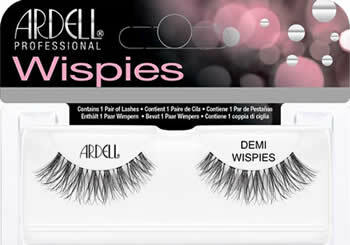 "Ardell Lashes Demi Wispies Lashes are one of my favorite style for lashes. They are very natural and not too super long. They have a criss-cross design that are just perfect with or without mascara. I wear glasses daily and I have no problems with these lashes been too long hitting the lenses. I love how these wispies lashes gradually gets longer and flares out towards the outside corner of the eyes. They are absolutely natural and beautiful looking - no need to apply mascara. These give my eyes a sexier look and make them POP!" 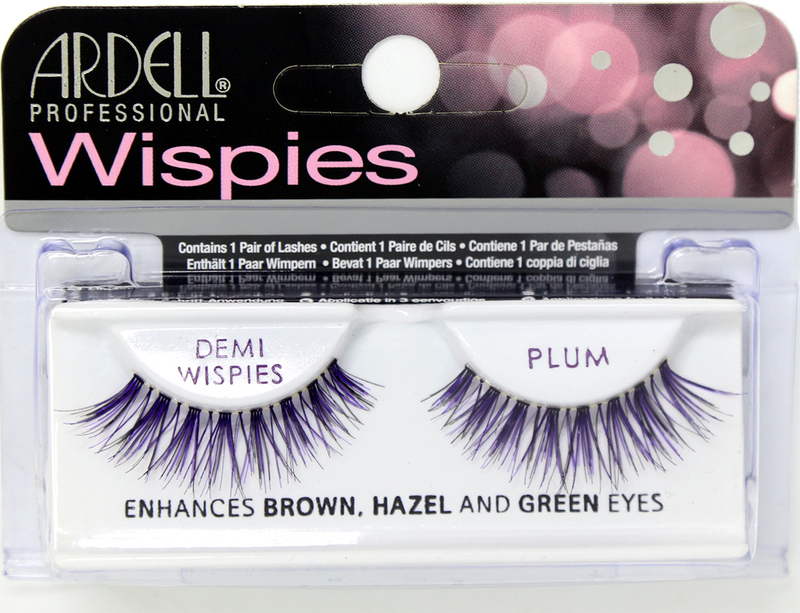 Gently flex your Ardell Invisiband Demi Wispies Brown (65013) or Ardell Invisiband Demi Wispies Black (65012) eyelash band. Align band with natural lash line to check fit. If necessary, trim the outer end with scissors. Always cut from the lash band outer part. Or alternatively, cut them from the inner corner if you don't like to lose any lash length! Apply a thin line of Ardell LashGrip Eyelash Adhesive along band. Wait for 30 seconds until adhesive becomes tacky. Place eyelash band against eyelid as close to lash roots as possible. Gently press corners and along the band to secure. Tip/Technique: If you have straight and/or droopy eyelashes, make sure to curl your natural lashes and apply mascara before applying your false eyelashes. Waterproof mascaras really help to hold a curl. Applying eyeliner before/after always helps to hide the lash band for a flawless lash application. This is the first time that I tried using false eyelashes, they are so pretty. I like the style very much the only reason i cant wear them is because my own lashes are too straight and dont curl like the falsies do. Im looking to try another pair. Very Natural eyelashes I like how they blend well with my own. Feels like your natural lashes. So comfortable, soft and easy to put on. Perfect length to wear with any kind of makeup, you can stay with a more subtle natural look or glam it up a bit with some eye shadow. Very Good buy! Ardell lashes are great lashes! I order all the time. Great price and great quality. Highly recommend this product! Looks big but still natural. My favorite daily lashes. Great quality and delivered just on time. My favorite lashes. Wispies are the best. They came quick and look just like the photo.......Quick delivery, great product and great price!!!!!! 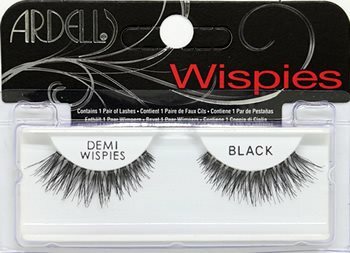 You cannot go wrong with a pair of demi wispies ! These are the only lashes I wear now! Very natural looking and they don't weigh down your lids. Love these! Work great on my eyes since they are hooded Just needed to trim a bit to fit length. beautiful long and natural looking lashes. can turn your look dramatic but still keeping it simple! LOVE love love these lashes! Looks sooo pretty..will be ordering more!! Very Pleased with this style. So far my favorite lashes. The are one of the most natural looking lashes in my collection. Always pleased when I purchase these.